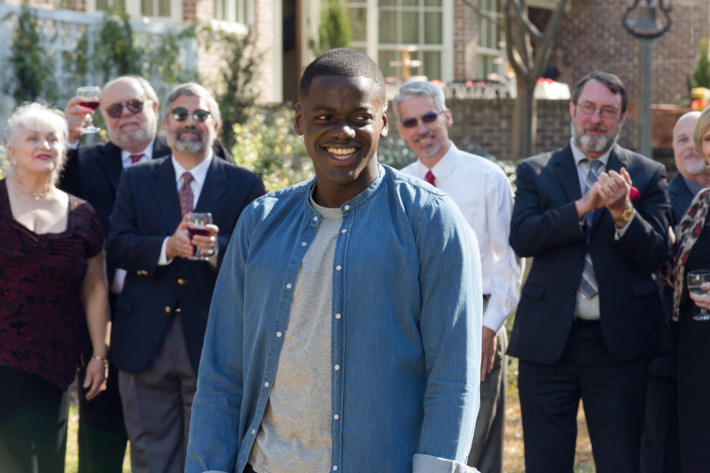 It’s been merely a week since “GET OUT” opened in theaters, yet the amount and breadth of analysis around the film’s themes and characters continue to grow. There is indeed a whole lot to unpack from the many layers of Jordan Peele’s instant classic, making it a film best digested through multiple viewings and lots of post-conversations (preferably in safe places). One character in particular, that of blind art dealer Jim Hudson (Stephen Root), speaks volumes about the idea of race neutrality or “color blindness” in America. In the film, we find Hudson sitting alone and a part from the rest of the White partygoers who’ve just finished “admiring” and fetishizing Chris’ blackness. Hudson’s perceived separation from the party and the comment he subsequently makes to Chris about the guests’ ignorance is meant to further distinguish his Whiteness from theirs. Not only is Hudson literally blind to Chris’ color, he is actually put off by the others’ obvious obsession with it, a fact that Chris is visibly relieved and comforted by. Symbolically, this scene can be interpreted as a gesture to White people who try to set themselves apart from their more blatantly racist counterparts by saying things like “I don’t see color” or “but I have Black friends.” For that moment, Chris feels solace in the company of the one person at the party who cannot physically see his color and who doesn’t seem to be particularly interested by it — a fact which we later learn to be sinisterly untrue. Hudson also praises Chris’ great talent as a photographer, a subtle nod to the racial exceptionalism espoused by many White people, and which implies that Hudson’s literal and metaphorical blindness predisposes him to “seeing” beyond Chris’ color to the true content of his character. Wouldn’t MLK be proud?